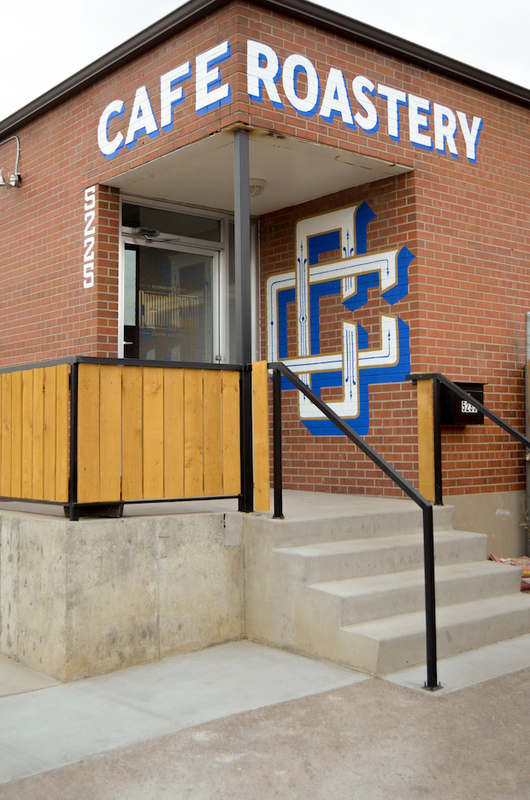 Three years into the game, Denver, Colo.-based wholesale roaster Commonwealth Coffee has fulfilled its own unique vision of how to cross over into retail. 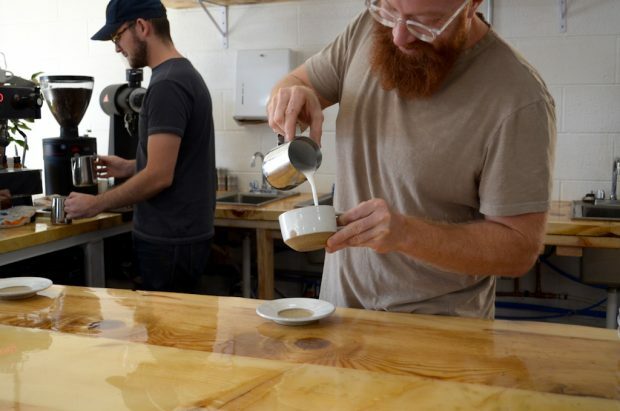 For one thing, owners Ryan Fisher and Jason Farrar, with experience in carpentry and electrical work, respectively, built out the newly opened 1,500-square-foot roastery café themselves, at 5225 E 38th Ave in Northeast Park Hill. 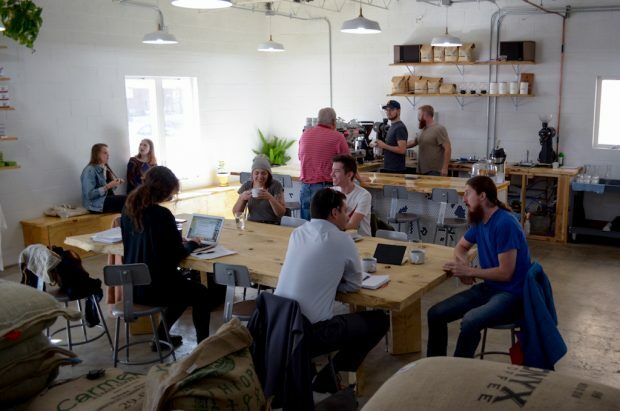 Beyond that, the café ventures to create a uniquely relaxed and engaged coffee consumption environment by eschewing the standard service model of directing patrons to queue up to a countertop point of sale in favor of full table service even for patrons that don’t order food. 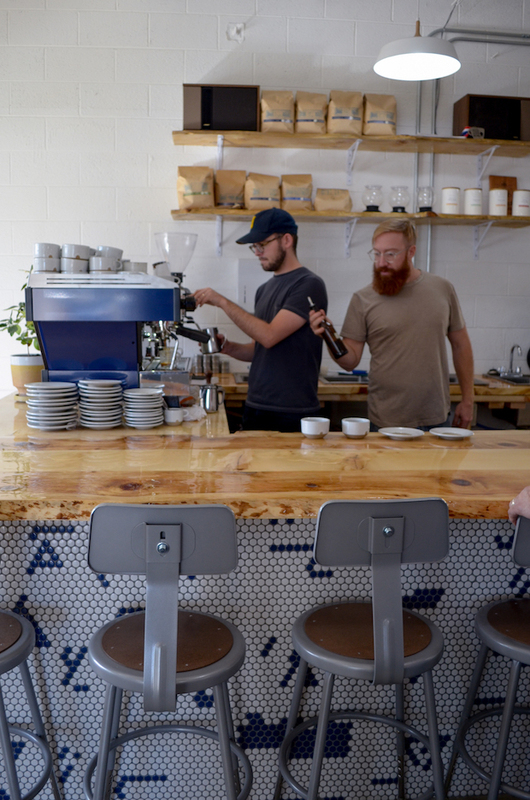 The Commonwealth café provides some light breakfast fare and pastries but remains a largely coffee-focused establishment, with a deep blue La Marzocco Linea PB anchoring the espresso prep area atop the live-edge spruce slab countertop built by Fisher. The space also boasts a large communal table and a 20-foot bench topped with live-edge knotty spruce, all salvaged from the same trees felled non-commercially nearby in town. To-go orders can still be placed at the counter, though folks that intend to stay are encouraged to sit right down and a barista will come out from behind the counter to pour a glass of water, discuss the current offerings, take orders and then deliver. 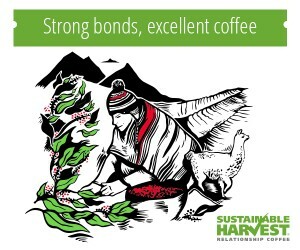 It’s a strategy Fisher said is focused primarily on fostering a greater sense of community and giving customers more opportunity to indulge their curiosities about coffee, although it does also have the ancillary benefit of encouraging additional purchases over the course of a patron’s stay. Fisher also admitted that while table service does extend the barista’s workflow a bit, it has worked out smoothly so far. 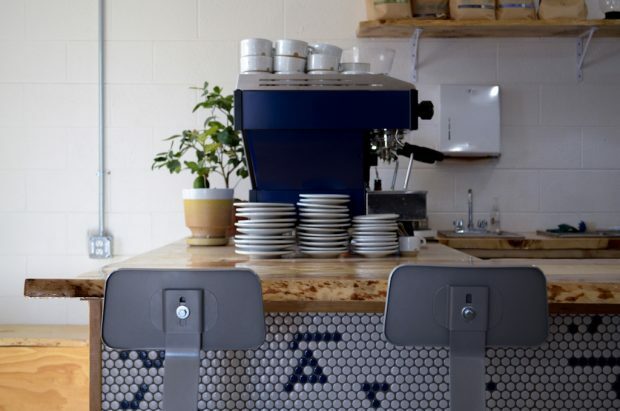 Behind the white mosaic counter-front with speckles of blue, a Mahlkönig Peak grinder crunches the goods for an espresso program served in custom-made ceramics by local ceramicist Matthew Jorgensen. 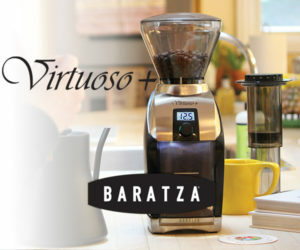 Dual EK 43 grinders grind for batch and manual brews. The Diedrich IR-3 upon which the company was founded in 2013 now stands alongside a Probat UG22, brought on line just two weeks ago. 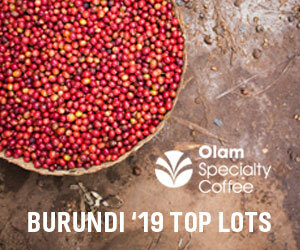 Greens from Red Fox Coffee Merchants, Café Imports, Olam Coffee and some directly sourced offerings are now roasted in full view of patrons, although that hasn’t changed much about Commonwealth production practices. 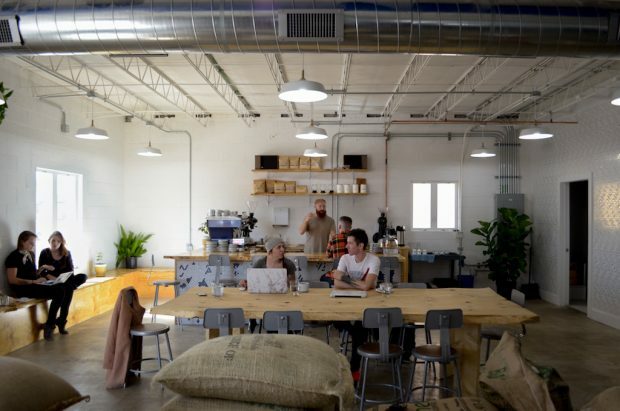 The characteristic Commonwealth approach to bringing each selected coffee’s sweetness, complexity and balance into an alignment that best highlights its finest points also of course remains intact in the new space. 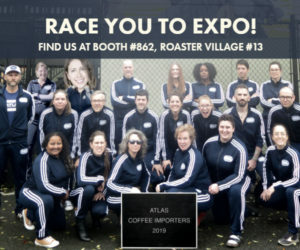 It is this approach, after all, that has risen the roasting company to fast popularity among multi-roaster shops around the U.S. and garnered Good Food Awards for two of their coffees in 2016. 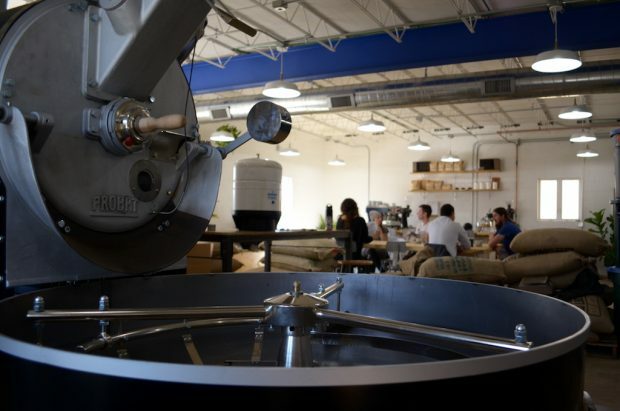 For the moment, the company has no specific further plans to announce as the cafe gets off the ground and production expands with the new roaster. 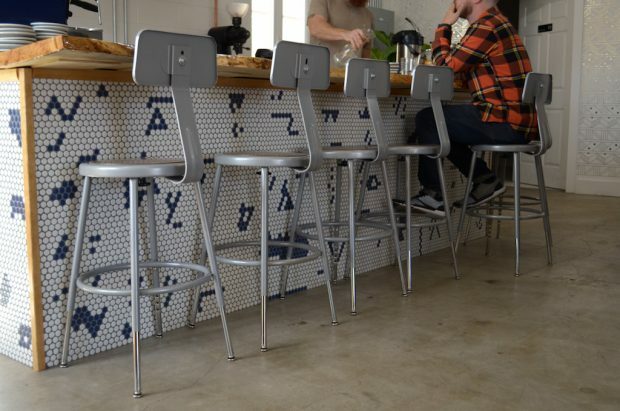 “We’re focused on making sure our café functions and flows well,” said Fisher, while also acknowledging that this is still only the beginning for Commonwealth.